It’s difficult to believe that we are preparing for back to school! Other than the temperatures soaring, it seems like the days of summer have passed swiftly. But, here we are, making lists, shopping for school supplies and clothes, looking at the fall school activity agenda and being reminded of how to instill the best study habits. Sometimes just the thought of what’s required during the month of August is daunting. Whether you are a single mother or father or a family of eight, nothing speaks family like preparing for school. Beginning the new school year in a stellar way is important for families big and small and organization and communications is key. One of our staff members has a 13-year-old daughter and we often both commiserate and share our joy about teenagers; how things have changed over the years, what’s important to them and what they think about. Quite a few years separate us but I’m reminded that at the core of every human being is the need to feel loved and valued. The teenage years can also be confusing and difficult for the teen and parent to manage and navigate. At Anthem Strong Families our Champion Teen Mini Clinics are geared toward helping bridge that gap of communication and confusion. As parents it’s also important to understand that students face myriad issues. One hot topic is bullying. According to Forbes Magazine a staggering 70.6% of young people say they have seen bullying in their schools and nearly half of students in grades 4-12 say they have been targeted. Bullying is frightening and can cause depression, anxiety and even suicide. Being able to recognize the signs of bullying and devising coping mechanisms is extremely valuable. Parenting can also be our toughest yet most rewarding assignment and raising great kids is both challenging and exciting. I’m convinced that being a parent takes all the love we have and then more love! It is important to understand what makes us good parents and learn how to build on those strengths. Focusing on anger management and communication, our parenting classes and Mini Clinics offer great tools to help parents to be Champions for their children. 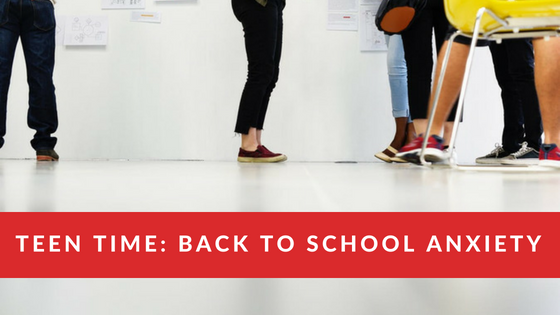 Preparing for our children going back to school can sometimes cause stress on our minds, relationships and pocketbooks but it doesn’t have to! This can also be a season of new horizons, journeys and joy. Enter with peace and grand expectation! Please take a peek at our classes at anthemstrongfamilies.org/events-classes/ bring your spouse and tell your friends!